Chinese manufacturing giant, Huawei, is getting set to unveil the Mate 20 series. This series is expected to have at least four models with the Mate 20 Lite being the cheapest. 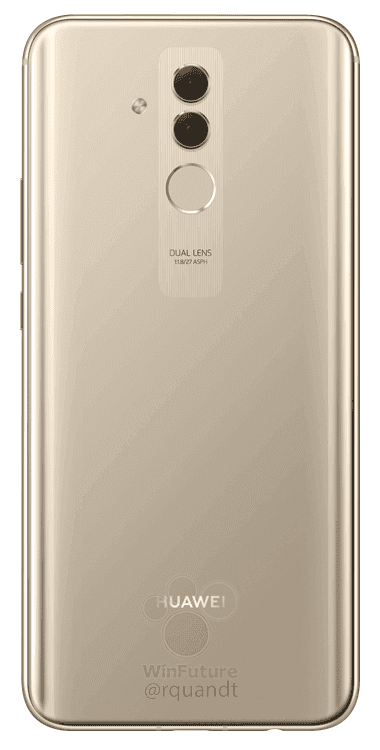 Now, fresh renders of this smartphone have appeared online and it comes in two colours – black and gold. 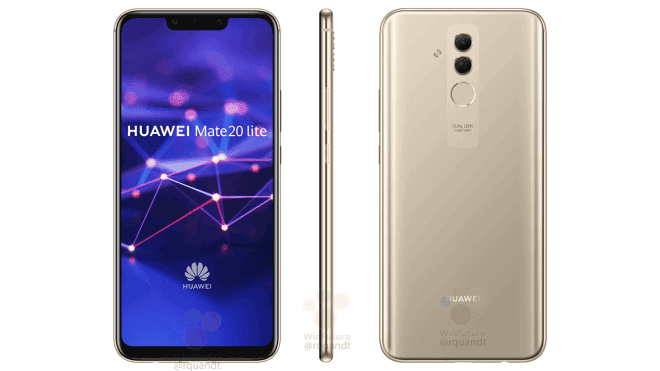 The Huawei Mate 20 Lite is closely related to the already launched Huawei P Smart+ or Nova 3i, these models all share a common firmware. 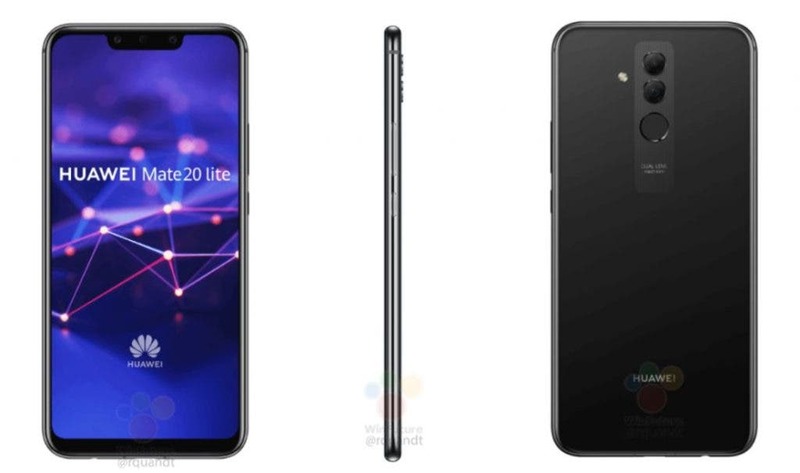 With the Mate 20, the concept of the “notch” at the top of the screen is also finding its way into the market in Huawei’s Mate series and the Mate 20 Lite will use the same design. This phablet is expected to come with a huge 6.3-inch LCD display with a resolution of 2340 x 1080 pixels resolution and ultra-thin side bezels, although the chin is quite conspicuous. The main drive of this device will be Huawei’s Kirin 710 octa-core SoC, a 12-nanometer TSMC chip that features four 1.7-gigahertz ARM Cortex-A53 Cores and four up to 2.2 GHz fast Cortex-A73 cores. This processor will be supported by 6GB of RAM and 64GB of internal storage which may be expandable. In the camera department, we have a 20MP + 2MP dual rear camera setup which is supported by another 24MP + 2MP sensor for selfies. This smartphone will run on Android 8.1 Oreo out-of-the-box and its light will be kept on by a 3650 mAh battery. 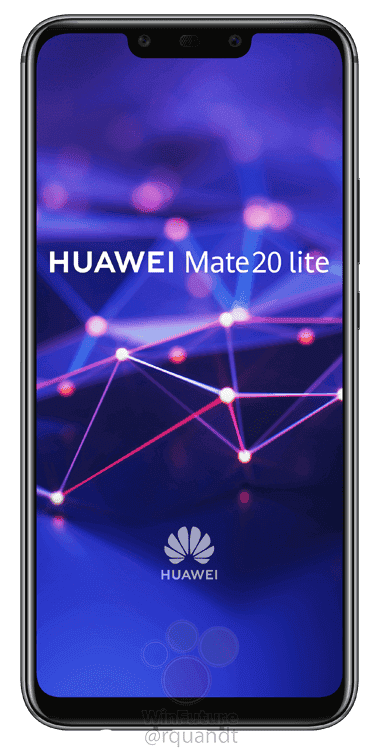 The Huawei Mate 20 Lite is expected to be on sale by the end of August and will cost around $400.